As promised in this post, I am reposting the images from the performance by Frank Foster’s “Living Colours” Big Band at the Village Vanguard on April 4, 1980 – this time with some music. About 70 minutes of music from this evening survive on a tape that has been digitally transferred to CD by Otto in the early 1990s. While the original tape box does not carry information at all, some information is attached to the CD. So here are all of Otto’s photos from the April 4 1980 concert again. If you can identify anyone for sure, to help get rid of the question marks on the CD’s listing, please let me know (but please check the comment section from the old blog entry about this event first). As you may have noticed the “unidentified” Big band at the Village Vanguard in 1980 turned out to be Frank Foster’s Orchestra. Unfortunately I do not find any audio documentation from this concert in Otto’s archives. But here is a real nice track with Foster (see picture on the right) that I discovered while looking for Foster’s music from the Village Vanguard. 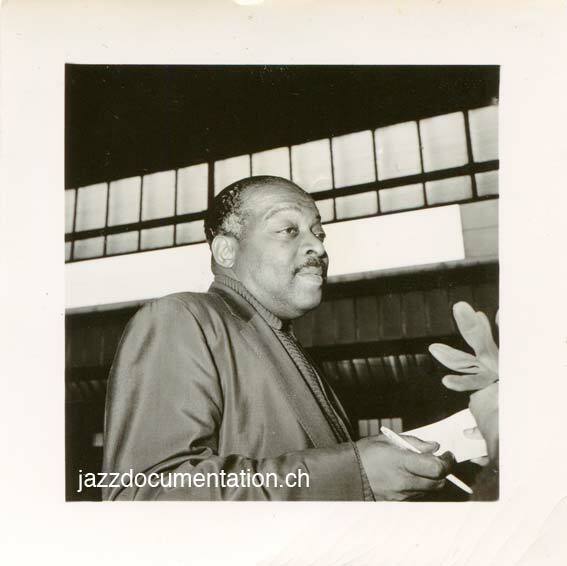 It’s an excerpt from a radio show, presenting 27 minutes of the Frank Foster/Bill English Quintet at the Madison Club in Baltimore on October 16, 1966, playing for the Left Bank Jazz Society . Besides Foster and drummer English, the band contained trumpeter Dave Burns, pianist Bross Townsend and bassist Chris White. This tape probably was given to my friend Otto by pianist Bross Townsend, whom Otto got to know sometime in the late seventies. Townsend (1933–2003) was a fixture on the New York scene from the sixties to the nineties, freelancing most of the time. For a while he worked as the pianist with singer Dakota Staton. Townsend and Otto became friends and Townsend copied different tapes of bands in which he was involved for Otto. You’ll probably read more about Townsend on this blog at a later date. 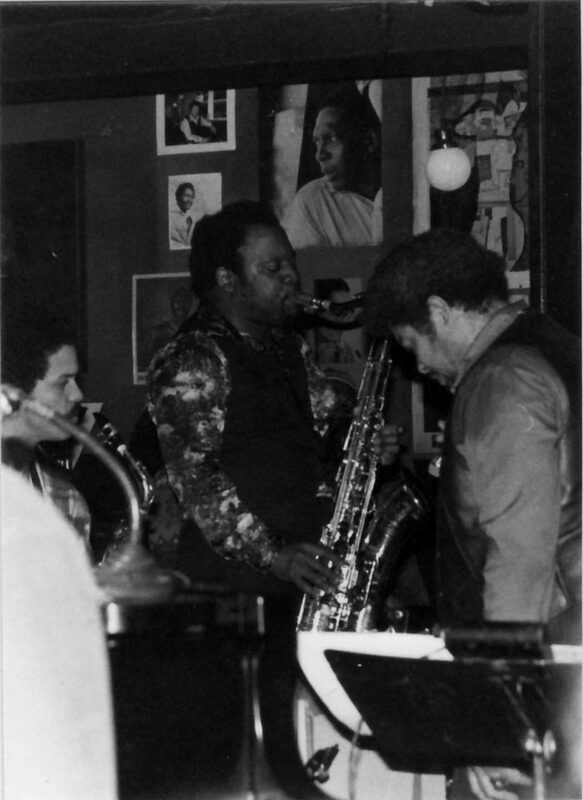 So here’s the Frank Foster/Bill English Quintet at the Madison Club for the Left Bank Jazz Society in Baltimore on October 16, 1966. They are playing an ultra-fast rendition of “Autumn Leaves” (or is it?). Especially remarkable is how much Foster at that time was under the influence of a certain other tenor saxophone player. But who was not? P.S. : Ellery Eskelin has uploaded a Chronologial Listing of Concerts sponsored by the Left Bank Jazz Society: Very interesting! Update (June 9, 2012): I found a tape from this concert. I will add a track or two later and reblog this post. Update (June 8, 2012): The Big Band has been identified as being Frank Foster’s band. Still help is needed in identifying the members of the band. Continuing the digitizing of the material my friend Otto gathered on his trips to New York in 1978, 1980 and 1981 I find it sometimes hard to match the tapes in his collection to the photos in his files from these years. Of course it is possible that from some concerts only photos survived. 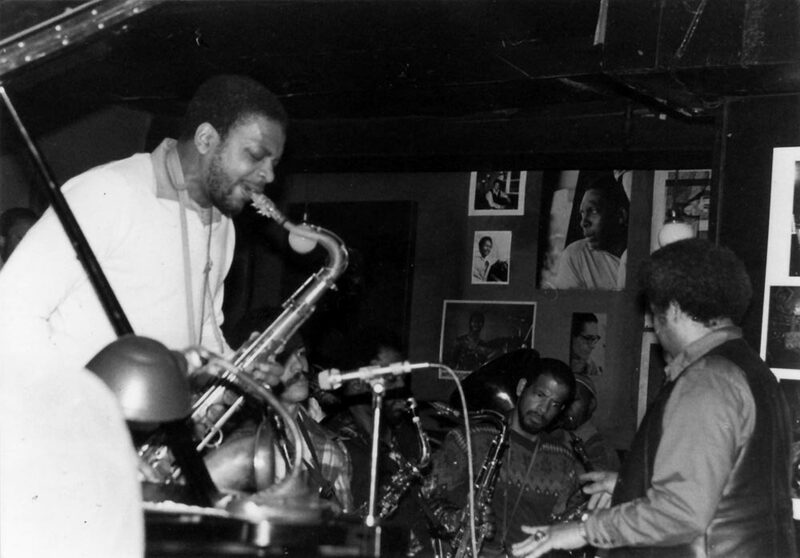 Here are seven photos of a big band playing (most probably) at the Village Vanguard either in probably spring 1980 or – also possible – spring 1981. Although some of these people look familiar to me, I cannot really place anyone. 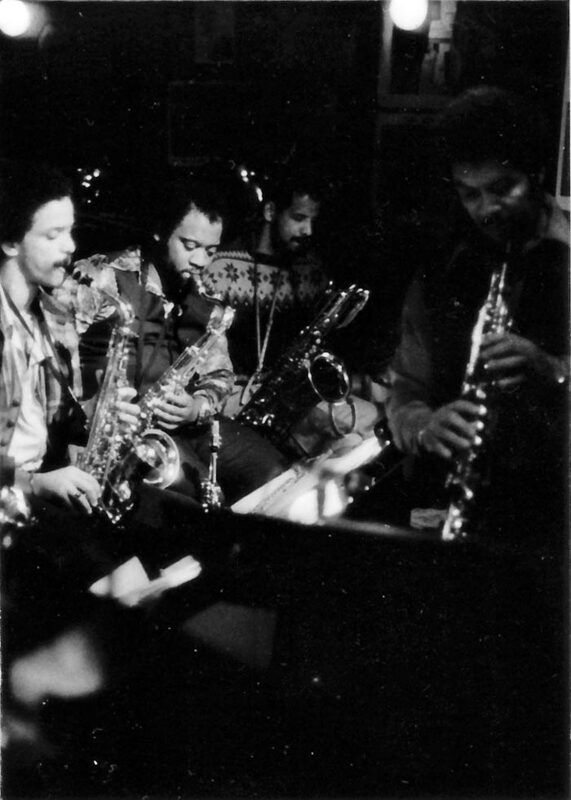 All I can say that the tenor saxophonist in the middle of the first photo (in the background) also seems to appear on a photo of Jabbo Ware’s Me, We and Them Orchestra at the Black Bean Music Studio on May 11, 1980. But the band on these photos here is definitely not Jabbo’s.